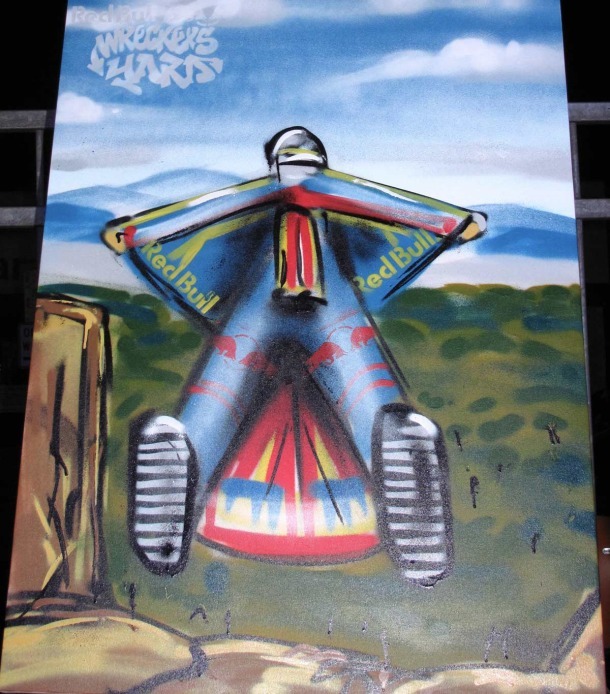 It was great to once again be selected as one of eight artists to compete in Wreckers Yard live graffiti art battle. Bar Soma in Fortutude Valley was packed as the competition kicked off last Thursday night. Each heat consisted of a twelve minute, one on one battle where a theme is picked from a hat a couple of minutes prior to commencing. There were some very challenging themes and skilled artists producing some great spontaneous works ensuring judging was close. As the rounds progressed the canvas size was reduced and the time extended to fifteen minutes for the final. I am pleased with my efforts gaining a second overall. Congratulations to Gimiks who took out first place and will head to Melbourne to represent Brisbane in the trans-Tasman final on the 25th of June. 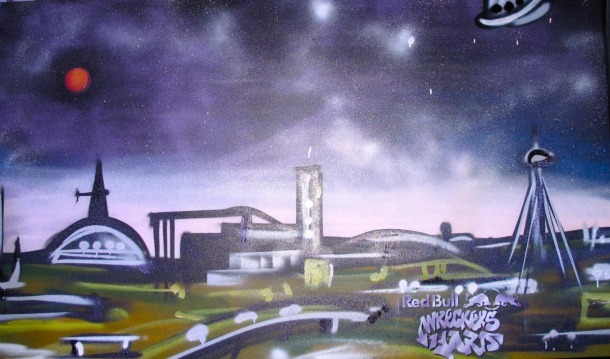 Respect to Red Bull, Skullcandy, Ironlak, VC Clothing and G-shock for sponsoring Wreckers Yard.